Aspen Skiing is comprised of four separate ski resorts, Aspen (Ajax), Snowmass, Aspen Highlands, and Buttermilk and one beautiful ski town in the heart of Aspen plus a separate slopeside Village at Snowmass. 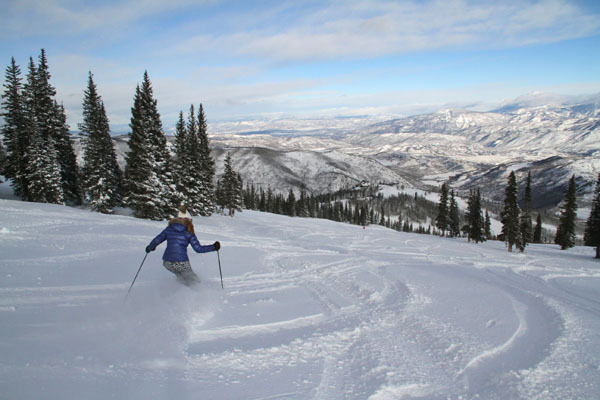 Snowmass is Aspen’s largest ski resort, with 4,406 vertical feet and 3,332 acres of terrain, 94 trails, 20 lifts servicing a family friendly choice of cruisers, glades, steeps, terrain parks, and halfpipes. 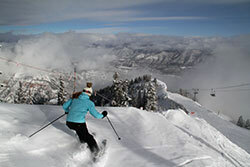 Aspen’s 4 resorts are part of the IKON Pass with three dozen major ski resorts, many of which Aspen’s Alterra now owns. Skiing the Big Burn and Sheer Bliss at Snowmass with views of Aspen’s Maroon Bells is a must on every skiers bucket list. Its gorgeous, wide and often wonderfully drenched in fresh snow. Snowmass is famous for its family ski programs and children’s ski lessons, centered at The Treehouse Kids’ Adventure Center. While your kids are in ski camp, enjoy lunch at Gwyn’s High Alpine, then hike the 5-minutes beyond Elk Camp to ski Long Shot – a great inbounds backcountry adventure on ungroomed terrain. 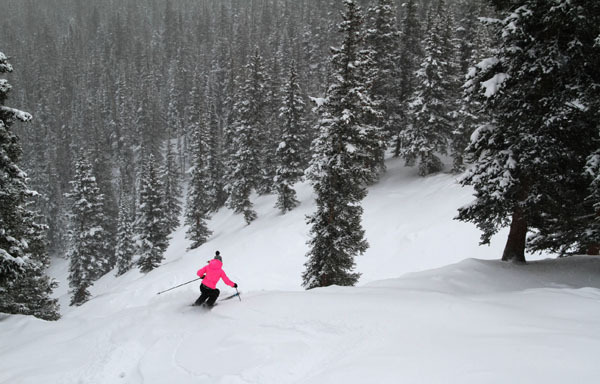 Snowmass has great tree skiing at Hanging Valley, easy cruisers at Elk Camp and Sam’s Knob, and a hidden stash at Campground. The place to stay in the Village at Snowmass is the posh Viceroy Hotel, with a gorgeous outdoor pool and Jacuzzis with firepits and a ski slope view. Viceroy caters to kids as VIK = very important kids – they get a VIK lanyard on check in with invitations to Kids Après Party and Kids Night Out. The Viceroy Snowmass is totally geared to family, you can bring your pet too, with daily children’s menus at Nest and Eight K, and cookies in the lobby afternoons. Aspen Snowmass’ Limelight Hotel is brand new in 2018, with a contemporary kid-friendly vibe, liek its sister proerpty in Aspen. Limelight Hotel Snowmass is just steps to the Elk Camp Gondola and Snowmass ski slopes, with 99 rooms (pet friendly), a 5-story climbing wall, and a cool new apres ski spot- The Lounge. Après ski you can stroll Snowmass Village, go dog sledding or snowshoeing, go to Venga Venga for family-friendly après ski, or just settle in for fine dining at Eight K at the sophisticated but fun Viceroy, or take a shuttle or drive the 15-mnutes to downtown Aspen.